Look Like You YEARS Ago? A new breakthrough from PhytAge Laboratories, PhytAge PLUS is a complete anti-aging system engineered to provide your skin with a much deserved youthful appearance. 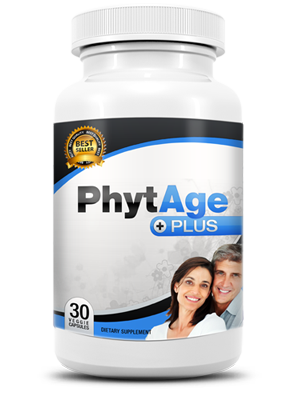 The extensive success of our flagship plant based skin care supplement, PhytAge Plus, led us to create other highly effective, high potency, top grade supplements for performance, gastrointestinal, vision and urological use. pToday, our variety of nutrition supplements help thousands to bolster the beauty of their appearance, achieve and exceed their physical improvement goals, and repair a variety of internal health issues. Perhaps best of all, our health supplements are 100% safe, being designed for long term use. PhytAge PLUS is a total skin rejuvenation package, in a capsule. This new, natural, skin supplement is such a major evolution in epidermal science that many men and women are rethinking the idea of investing hundreds, even thousands of dollars in overpriced magic potions, needle injections, or cosmetic surgery. Because it's now possible to see positive facial results from the inside-out.